Aerial photo taken on April 21, 2018 shows the Sidu River Bridge enveloped by clouds and fog in Badong County, Enshi Tujia and Miao Autonomous Prefecture in central China's Hubei Province. 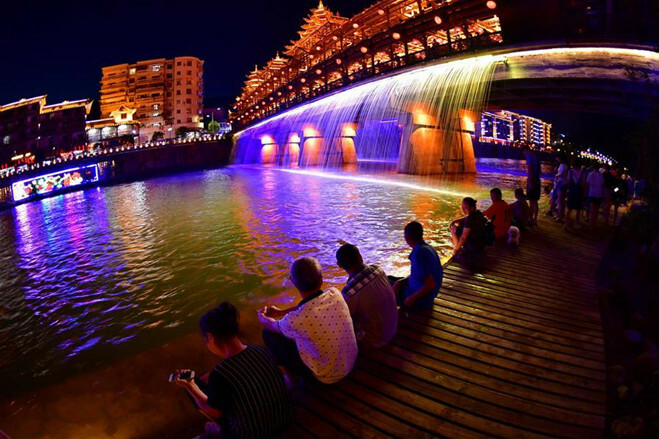 People enjoy coolness and beautiful night view along the Fengyu bridge at Xuanen County in Enshi Tujia and Miao Autonomous Prefecture, Hubei, July 23, 2017. An aerial photo shows the mist-shrouded Sidu River Bridge in Enshi, Hubei province, April 4, 2017. 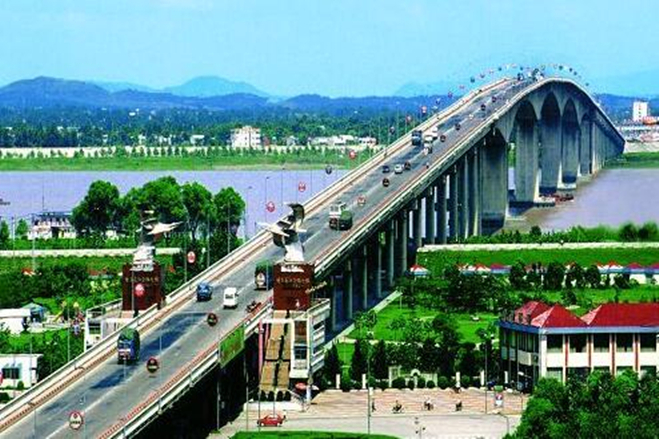 China's first over-water highway skims across a river in Xingshan Hubei province bypassing nearby mountains in order to avoid cutting down lush forests. 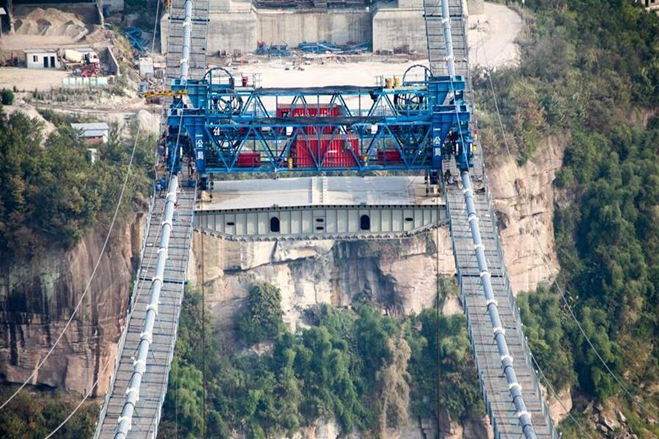 The Yichang Yangtze River Railway Bridge is an arch bridge in Yichang, Chongqing, China. 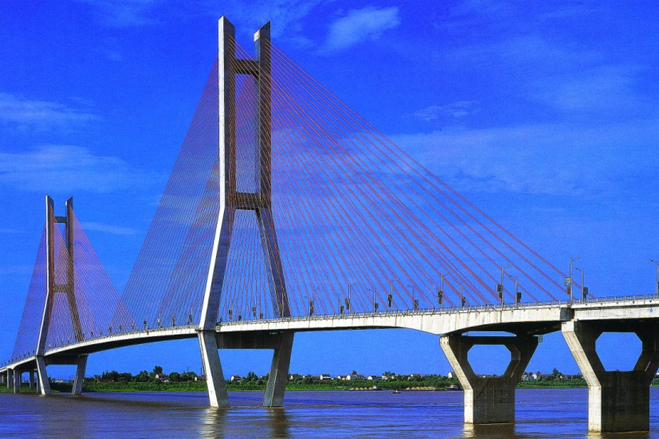 The bridge was completed in 2008 and carries the Yichang−Wanzhou Railway across the Yangtze River. The bridge is 1,290 m (4,230 ft) long and has a main span of 480 m (1,570 ft) placing it among the longest cable-stayed bridges in the world. 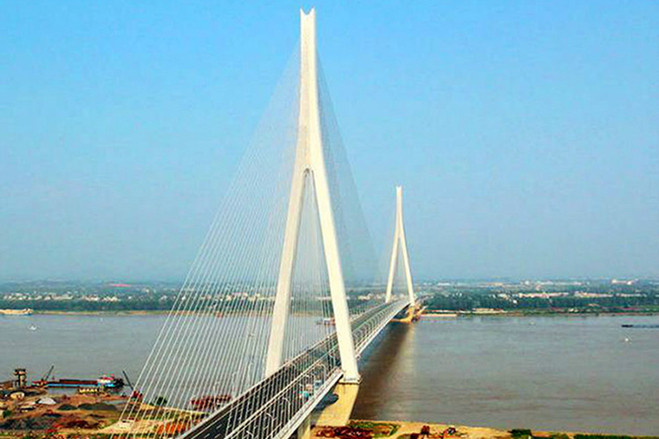 The Edong Yangtze River Bridge is a cable-stayed bridge across the Yangtze River in Hubei Province in eastern China. The Huangshi Yangtze River Bridge is a box girder bridge across the Yangtze River in Huangshi, Hubei Province in central China. The Zhicheng Yangtze River Bridge is a road-rail truss bridge across the Yangtze River at Zhicheng, Hubei Province in central China. 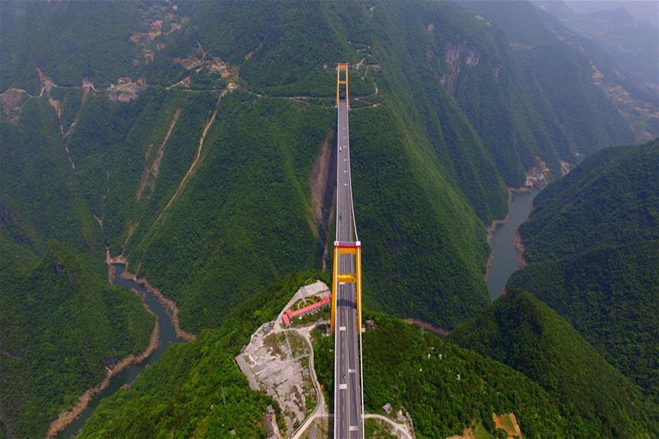 With a roadway 1,627 feet (496 mtrs) above the water, the Siduhe River Bridge is the latest Chinese champ to take the record as the highest bridge in the world. 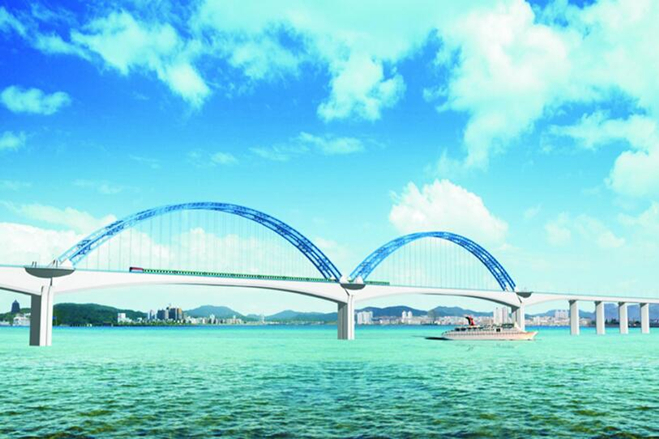 The 2,030-meter-long bridge linking Wanzhou of Chongqing and Lichuan of central China's Hubei Province is scheduled to be put into operation in 2017. 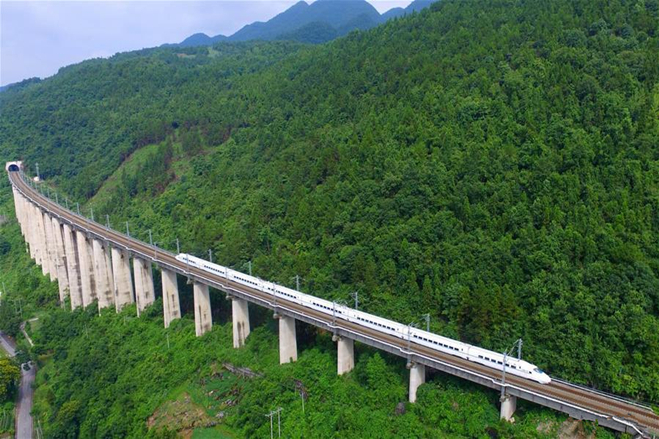 The 377-kilometer-long Yichang-Wanzhou Railroad winds through mountainous areas from its eastern station Yichang in Hubei Province to western station Wanzhou in southwest China's Chongqing. 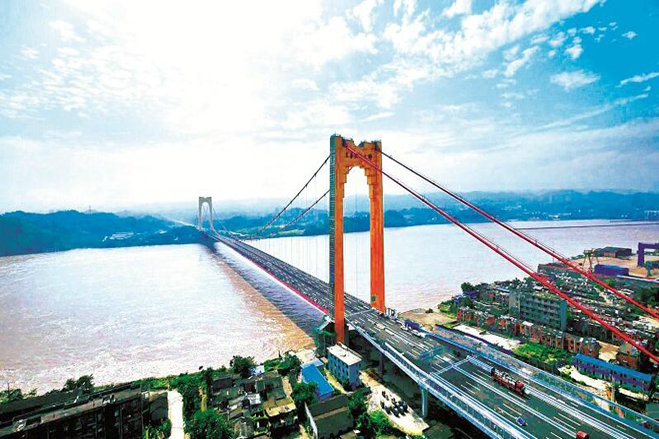 The 838-meter Zhixi Yangtze River Bridge, the second of its kind in the world to be made with composite steel concrete beams without a supporting pier, opened for traffic Monday in Yichang City. 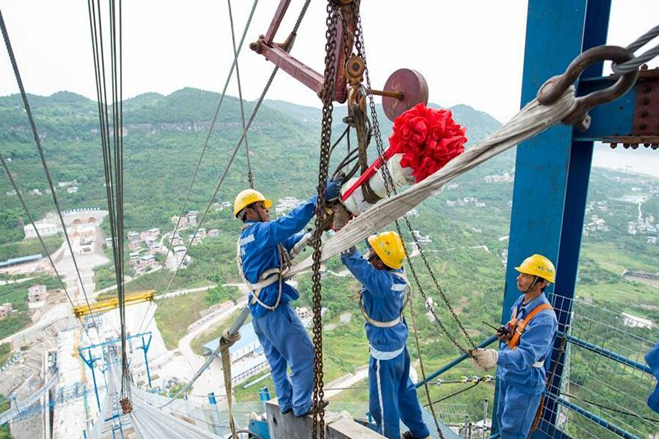 The erection work of two 1,834-meter-long main cables was finished Monday morning. 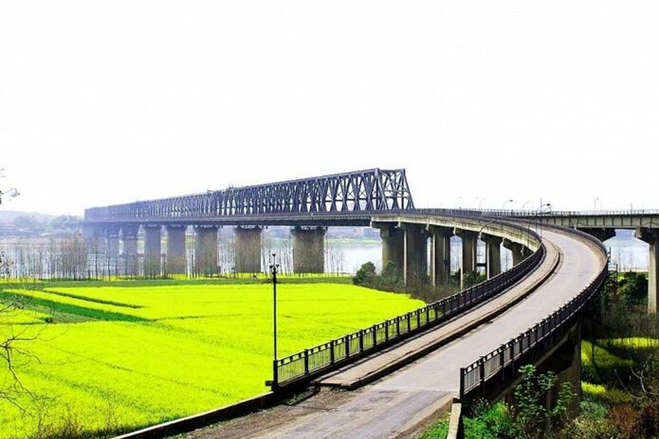 The bridge, which is designed to be 2,030 meters long, links Wanzhou with the Lichuan Highway in central China's Hubei Province.